While Curry was reading, the network cut to highly produced beauty shots of a laptop computer, tablet and smartphone laid out on the “NBC Nightly News” set in Studio 3A. The shots used gentle camera movements with a great sense of depth thanks to careful focusing that tastefully blurred the background. 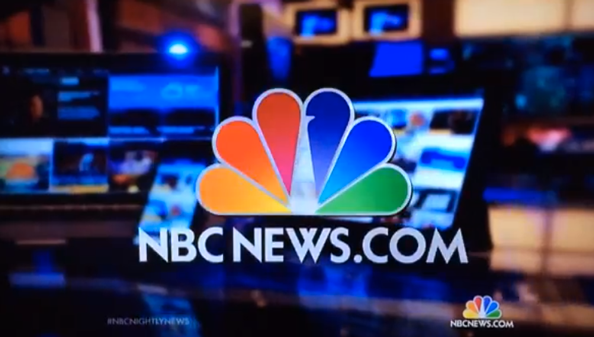 At the end of the clips, a large, full color NBCNews.com logo capped with the NBC peacock was shown on screen before returning to Curry’s one shot at the anchor desk. Interestingly, that was the sole mention of the new website on “Nightly” (at least during the first feed as seen in the central time zone). The network didn’t mention the site, other than in the existing bug design, including during commercial breaks.